I like the design and utility of the bench. Its primary feature is that it is 20″ high, a very good height for using traditional western saws. Not too high, not too short. The “V” in one end of the top allows a thin workpiece to be supported on both side of a cut. 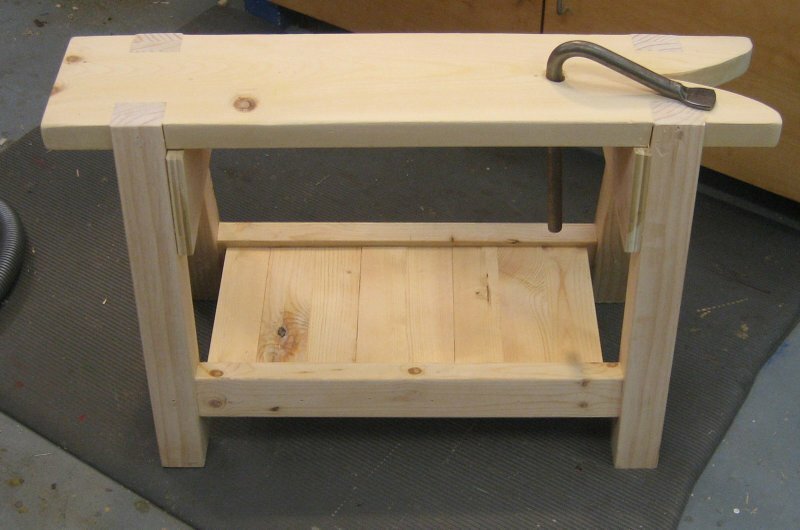 I will be using this bench to experiment with a couple of old Disston saws that I recently purchased on eBay. Eventually, I want to learn to sharpen hand saws, but that is a project for later. Posted on August 21, 2007, in Tools and Shop, Woodworking. Bookmark the permalink. 4 Comments. Have you had a chance to use this? What do you think now that it has been in the shop for a while? And do you think one is enough? I have used it and I like it a lot. It is a strong design and can take a beating. I think that one is enough. 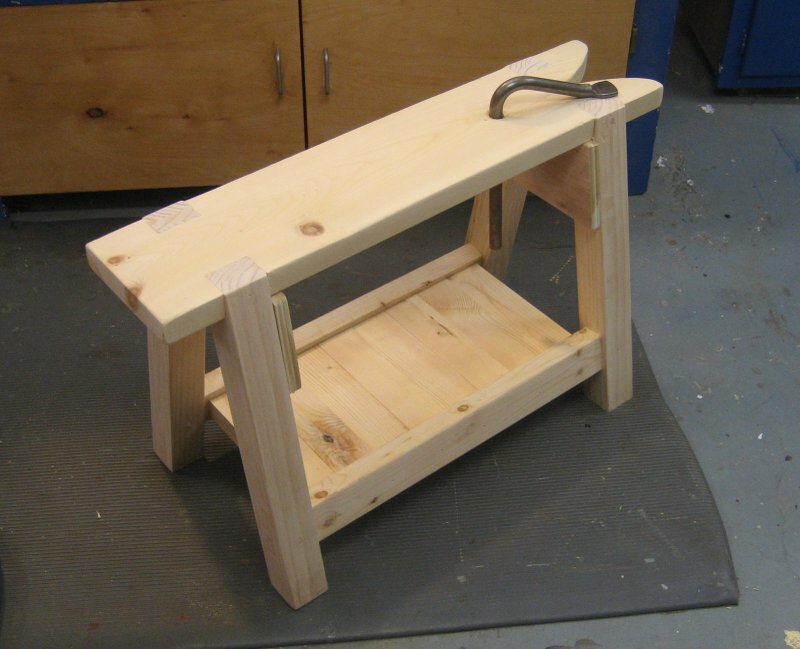 I use a different design (folding) for saw-horses to save space, and reserve this for cutting, etc. Thanks. I’d been planning to build one of these in the near future. BTW: I’m back to blogging after an extended absence. Thanks for having me listed in your interesting sites! Thanks Matt. I’m planning to build one of these in the near future. BTW: I’m back to blogging after an extended break (mostly because the shop was in such bad shape). Thanks for having my on your list of interesting sites!